Asbestos floor tile is surprisingly common in older homes and have been used since as early as the 1920’s. Unfortunately many homeowners are unaware that asbestos used to be used in floor tile at all! The truth is, though, that prior to 1980, asbestos was frequently used to extend the durability of floor tiles in homes. So, why should you care? Because – like anything else that contains asbestos – asbestos floor tile is a hazard to your health. The first step in the removal of asbestos floor tile is identifying that you have asbestos in your tiles in the first place. 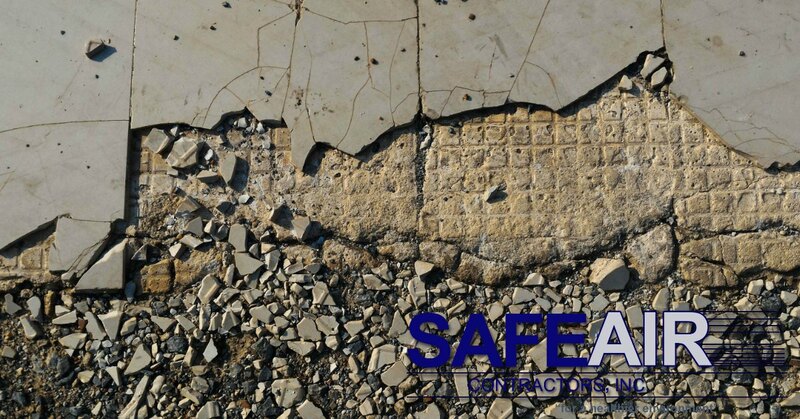 The easiest way to identify asbestos floor tiles is if you have any leftover tiles in storage in your basement or shed. Oftentimes builders or homeowners would store remaining tiles and forget about them. If you don’t have any leftover tiles, however, things get a little more complicated. Identifying your home floor tiles can be made easier with this online guide but if your home was built in the early 1980’s or before, there’s a good chance that you will need to replace your floor tiles. Why Replace Asbestos Floor Tiles? Why should you replace asbestos floor tile in your home? Just like anything containing this toxic substance, asbestos floor tiles have the potential of releasing asbestos fibers in to the air. These fibers are then breathed in by you and your family and can lead to a number of very serious health concerns like cancer! If your flooring isn’t damaged, can it still be harmful? In order for asbestos to pose a threat to your health, the particles from it have to “break free”. This happens when flooring tiles begin to chip, crack, or otherwise erode. So, if your flooring isn’t damaged in anyway do you still need to replace it? No…but yes. Firstly, tile flooring from 1980 and before that is not showing any signs of damage is unlikely. If your floor isn’t damaged, however, we still recommend a flooring overhaul because at some point it will be. We don’t think it’s worth risking your health and your family’s health for something you will eventually need to replace anyway. Since asbestos poses a health risk once the fibers become “free”, taking up asbestos floor tile is a dangerous job. Some homeowners do try to tackle the project themselves, but we certainly don’t recommend it – one wrong move and you will pay the price for the rest of your life! It’s just not worth it! So, if you’re not safe tackling the project yourself, where do you turn? 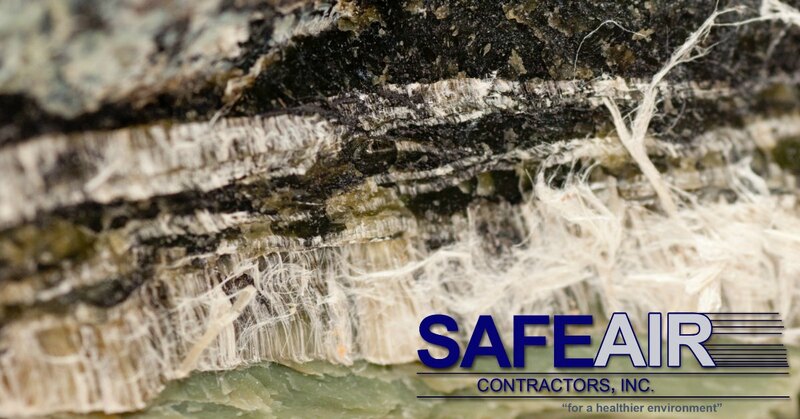 Professional asbestos abatement companies like us here at SafeAir, Inc. are available worldwide to help! Find one local to you by contacting your state health representative. If you live in the Western Pennsylvania region or in Ohio, you can give us a call at 440-639-1191 and we’ll put our 25+ years of experience to work for you!